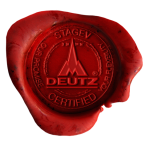 DEUTZ – The Engine Company. DEUTZ Australia is headquartered in Melbourne, Victoria. We are supported by a large dealer network throughout Australia, New Zealand and the Pacific Islands and an extensive partner network. DEUTZ Australia provides a range of Diesel and Natural gas engines for industrial, mining, marine, energy and agricultural purposes, as well as spare parts and service for all DEUTZ engine products. We have also developed our own engine solutions which have been customised to suit the Australian market and conditions. DEUTZ Drive is our latest product innovation. DEUTZ has a large team in Melbourne with a wealth of knowledge who are on standby ready to assist our customers with any queries they may have. Please contact us if you need any information on our DEUTZ engines or product range.